Get ready! Go! 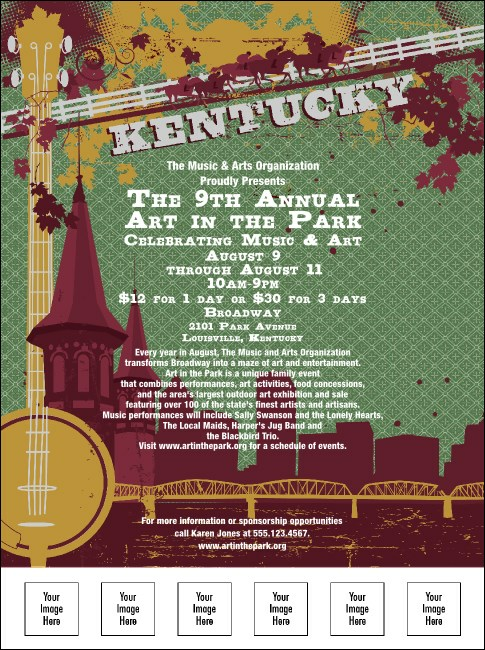 Get your local event running when you promote it professionally with the Kentucky Flyer! Featuring race horses, a banjo and the Louisville skyline, against a contemporary and colorful background. Each flyer has five spaces for your images. Spread news of your event far and wide with TicketPrinting.com.